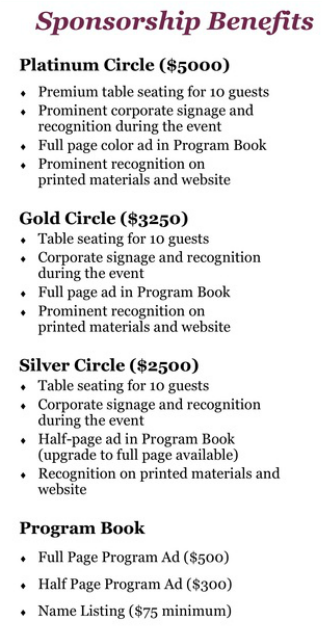 ﻿﻿Program Book: Your sponsorship benefits include an ad in our Program Book. Please see Program Ads for details. The deadline for submitting the ad is April 1, 2017. Guest list: As the event draws closer, we will contact you for your guest list.